As I prepared to be discharged from hospital with my tiny 30 weeker, I kept getting told by the staff to avoid supermarkets. I was completely baffled – were supermarkets really such an awful breeding ground for germs?! I solemnly promised the consultant that I wouldn’t go near supermarkets until Luca’s due date. Once we were home, I asked the outreach nurse about the rationale for supermarket avoidance. She said people in supermarkets have a tendency to touch small babies in their prams. I laughed – why would anyone pay attention to me pushing a pram around with a screaming baby?! From the day I felt more confident to take Luca out (around his due date), I’ve faced a constant stream of people trying to touch my baby or asking personal questions. For some reason, a teeny baby seems to be public property. After spending weeks of religiously sanitising hands before touching your baby, the sight of anyone putting their hands near Luca was enough to send me into a rage. Some people just don’t seem to have any concept of a mum and baby’s personal space. I’ve had family members and friends visit us in NICU, longing for a cuddle but knowing I was the only one allowed to hold my baby. I didn’t let anyone hold Luca until his due date arrived. He was only 4lb when I took him home. So the very last thing I wanted was strange hands all over his little body in the pram. There have been times where I have rushed around the supermarket close to tears, praying for Luca to stop crying too so I can avoid taking him out of the pram for comfort. My reaction to unwanted contact has been a firm ‘don’t touch my baby – he’s premature’ has had mixed results. Usually, people appear mortified and apologise. But no baby deserves unsolicited contact, premature or term. On other occasions, I’ve received some sharp advice. I should put a blanket over my baby’s pram if I don’t want people to touch. Why am I taking such a young baby outside anyway?! (He was 3 months old at this point). Silly me, for wanting some normality after the horrors of NICU for 6 weeks. Not that I had much choice; as a single parent, if I didn’t run errands, they wouldn’t get done at all. – Get a sign to alert people to your baby’s special status. Luca’s ‘don’t touch’ sign has mainly positive results, but there is still the odd oblivious person who thinks THEY are allowed to touch. It also has the unintended benefit of attracting other preemie relatives for a chat. I got our sign from Etsy and another preemie parent has also produced a badge to keep unwanted hands away. – Wear your baby in a sling. I’ve yet to encounter someone rude enough to put their hands down my top – but never say never! 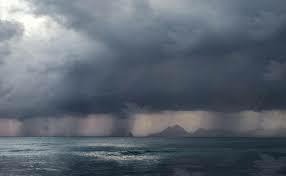 – Use your raincovers as a barrier. I have looked slightly odd on sunny days but I will use my raincovers in crowded places such as surgery waiting rooms if we’re in a confined space. – Be firm. I will wheel Luca’s pram out of people’s reach and tell them (abruptly) not to touch my baby. 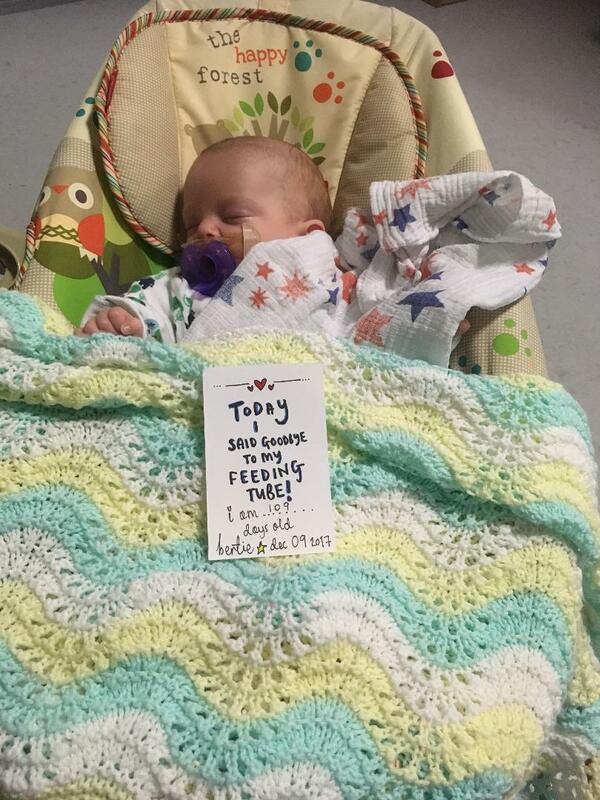 After the NICU rollercoaster, being rude to someone risking my baby’s health is the least of my worries. 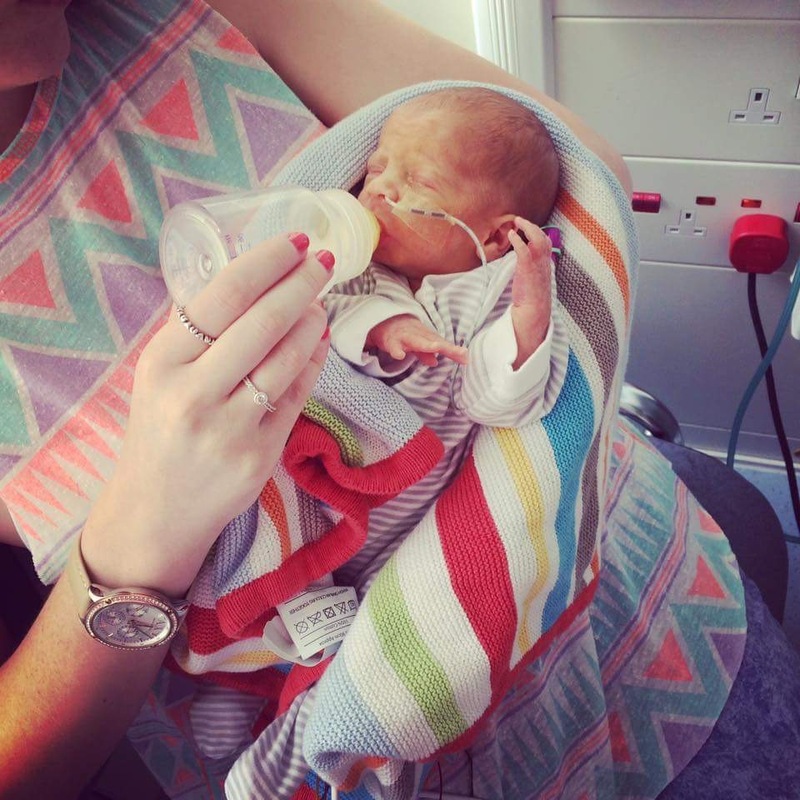 This entry was posted in NICU, Premature Baby and tagged neonatal care, Neonatal intensive care unit, NICU, preamture baby, premature babies, SCBU, smallest things on November 16, 2016 by Catriona Ogilvy. 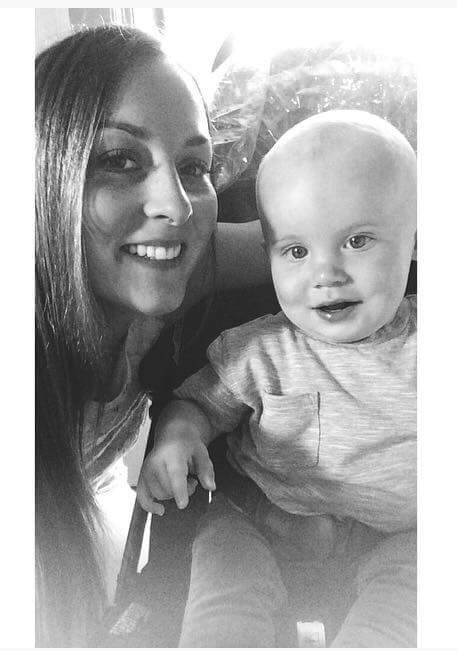 Mumsnet 2016 Best Campaigner Award – Shortlisted! I am thrilled and so very proud to announce that The Smallest Things have been shortlisted for the Mumsnet 2016 Best Campaigner Award! It was a wonderful and very unexpected surprise when I received the notification yesterday evening; and it is a huge honour to be included alongside 5 other inspirational women who have all shared their own experiences to help others. The recognition of our campaign now is particularly timely – our PETITION to extend maternity leave for mothers of babies born too soon nears 20,000 signatures and it comes just days before the launch of our NEW Smallest Things red book Preemie Proud stickers. 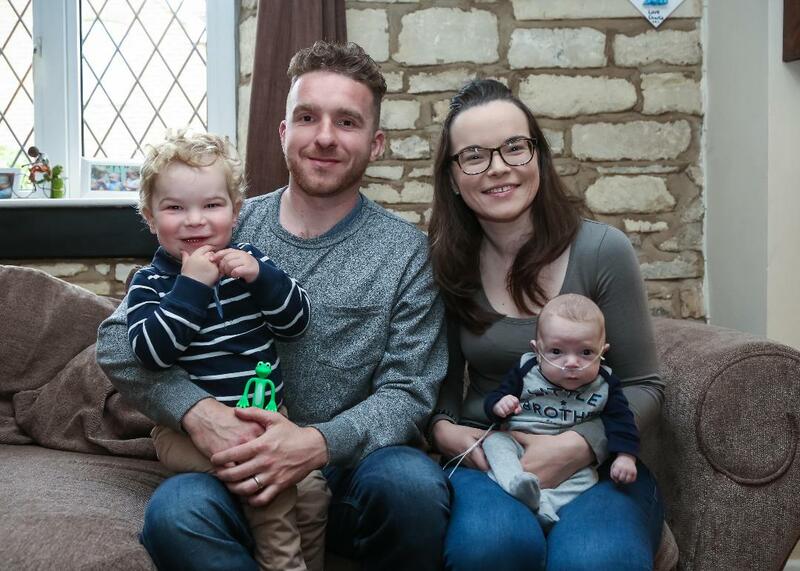 Although The Smallest Things, launched in September 2014, campaigns for better care for parents following a NICU stay and for extended maternity leave for parents of premature babies, our site also offers hope and support to parents. The three finalists will be chosen through a public votes; so please, if you’d like to help make The Smallest Things matter, VOTE for The Smallest Things in the Best Campaigner category. click here and VOTE NOW! Why not share the link with your friends and family too? 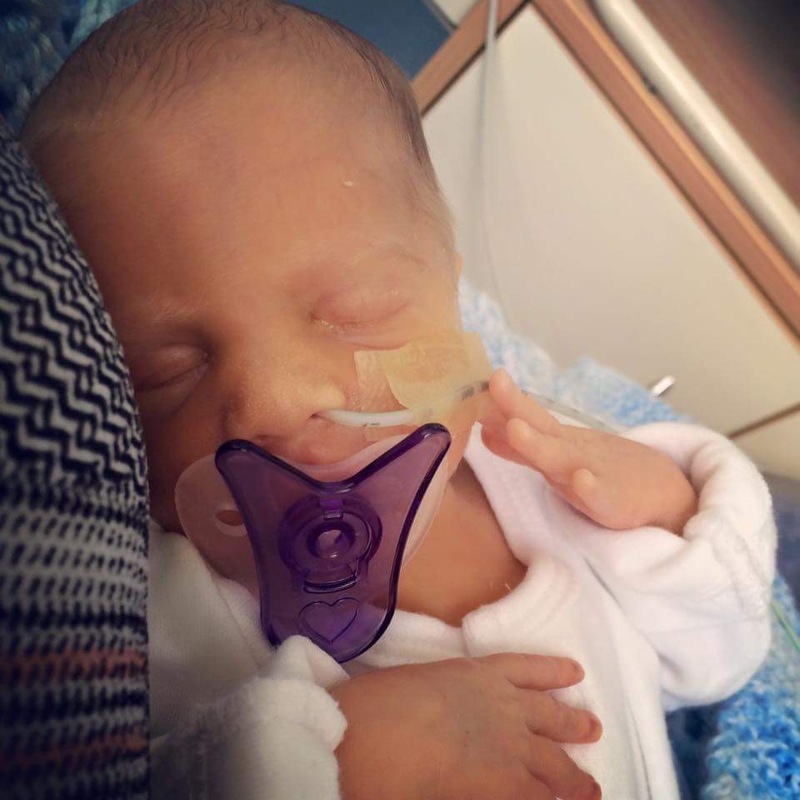 This entry was posted in News, Premature Baby and tagged awards, campaigner, mumsnet, premature babies, Premature Baby, SCBU on September 9, 2016 by Catriona Ogilvy. This fear filled incubated ride. ‘Why her? Why him? Why us…WHY ME? And pale blue lips and small hearts stopping. Of swelling brains, please stop…no more. Mean more than they ever would before. Shouldn’t you show the same fight too? Just the wonder of your child will stay. Enjoy your special, wondrous life. 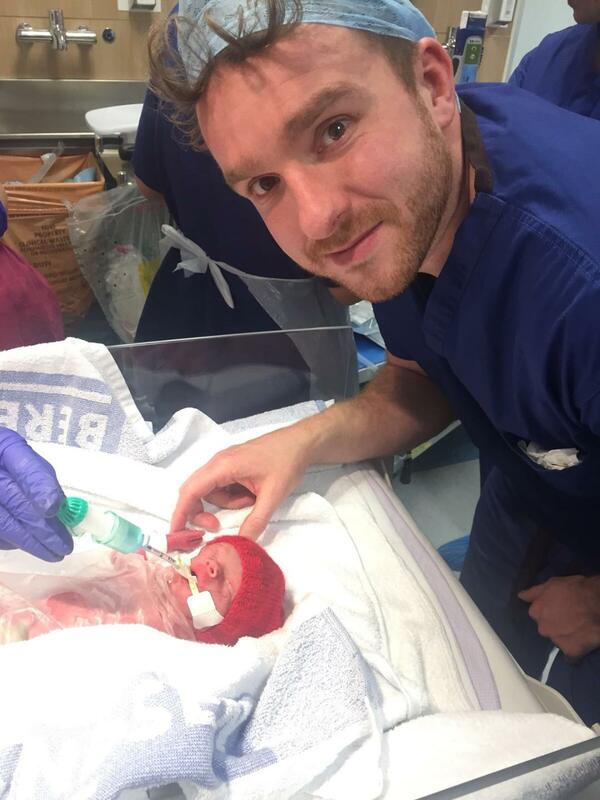 This entry was posted in Dads do NICU, Guest Blog, NICU, Premature Baby and tagged DadsDoNICU, Fathers Day, Neonatal Intensive Care, Neonates, NICU, Preemie, Premature Baby, premature birth, SCBU, Special Care Baby Unit on June 17, 2016 by Catriona Ogilvy. 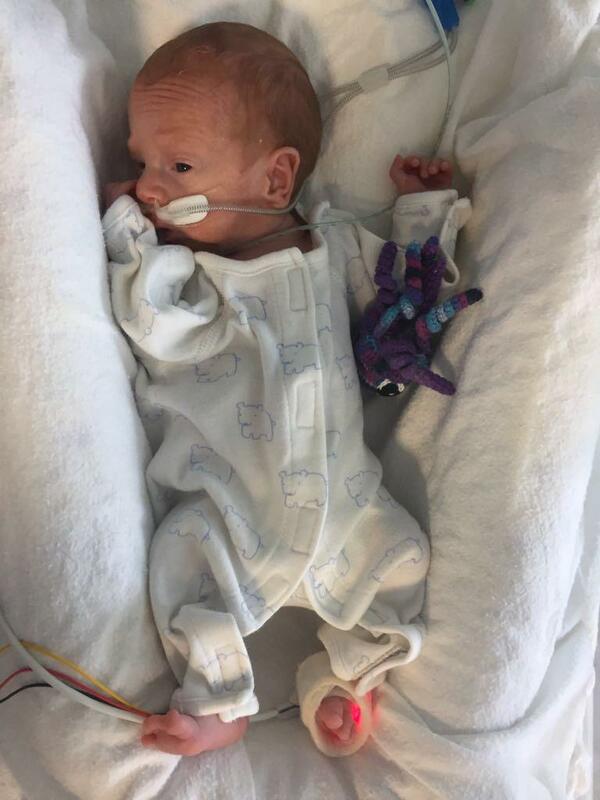 My little boy Cameron had to be delivered nearly 2 months early; he had fluid around his lungs and his movements had reduced. 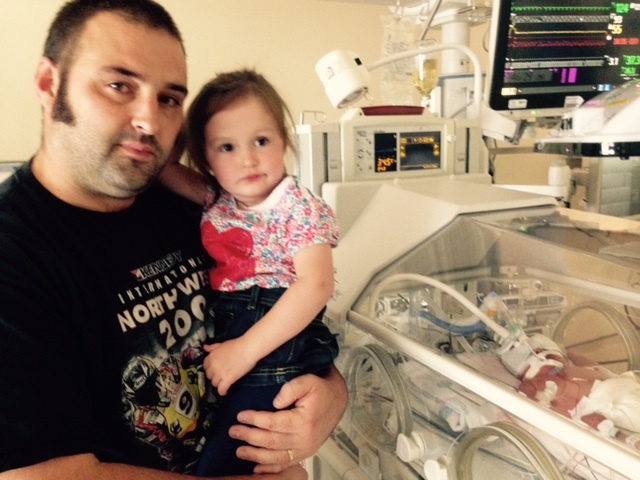 We would later come to know he had hydrops fetalis, a life threatening condition. 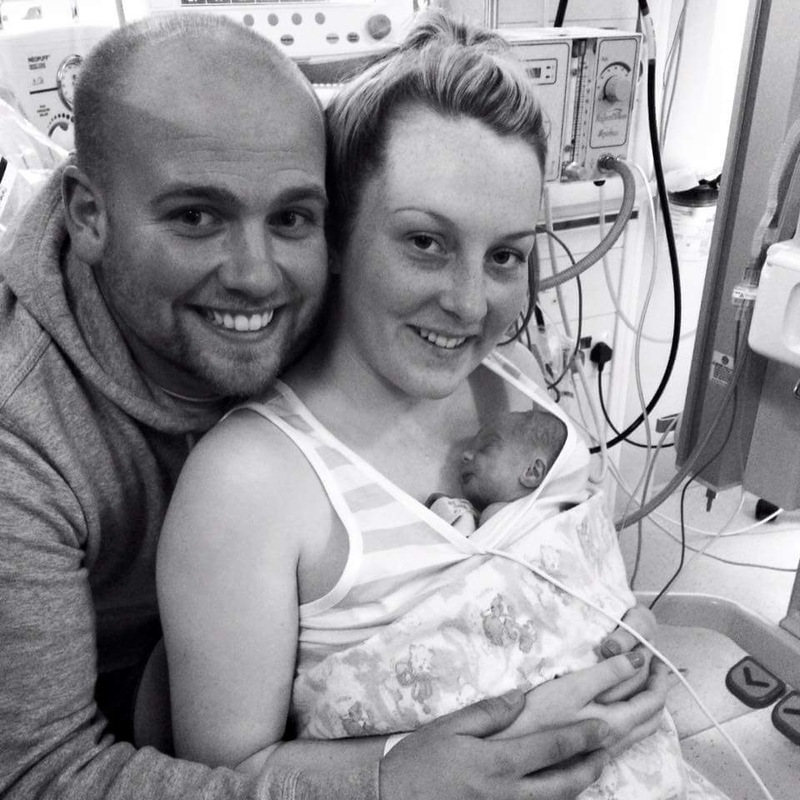 I wasn’t sure what to expect when I walked into the obstetric theatre, our daughter Beth had been born naturally and was full term and healthy. 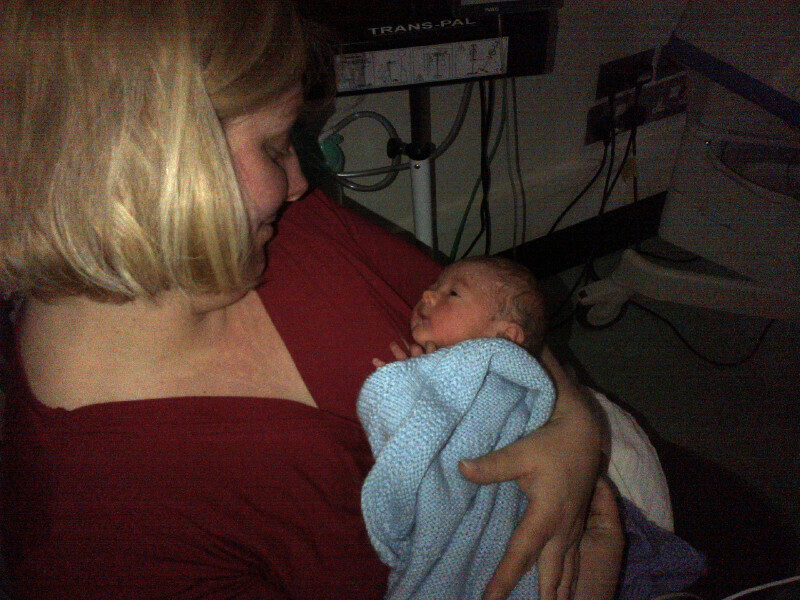 As well as the usual theatre staff there was a team of 7 from neonatal waiting to look after our boy. The theatre staff were great at keeping us calm and talking us through everything, but I will never forget the deafening silence when Cameron was born. There was no first cry, no tears of joy, no hugs or pictures, just a busy team working to save our son. 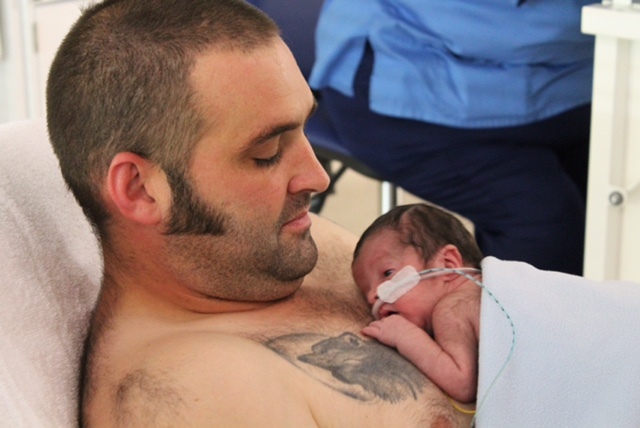 I remember my wife Laura asking me if I could see him, but all I could see through a sea of scrubs was a cracking set of black sideburns – just like his dad! Cameron couldn’t inflate his lungs so it took them a long time to stabilise him. 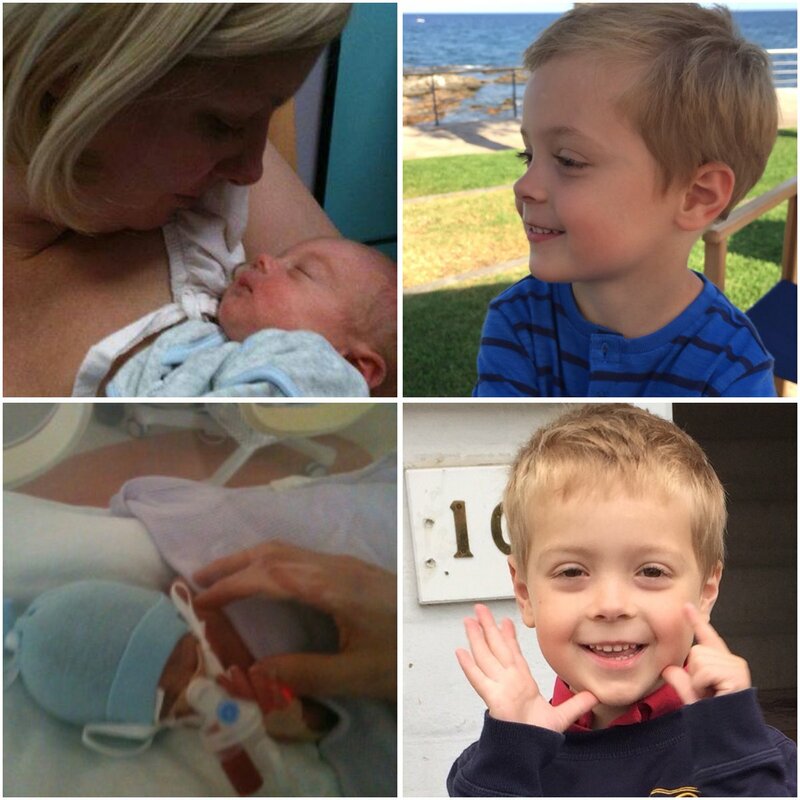 He was intubated and had chest drains inserted, Laura was ready to go to recovery before Cameron was stable enough to move to NICU. Walking into NICU that evening was terrifying. 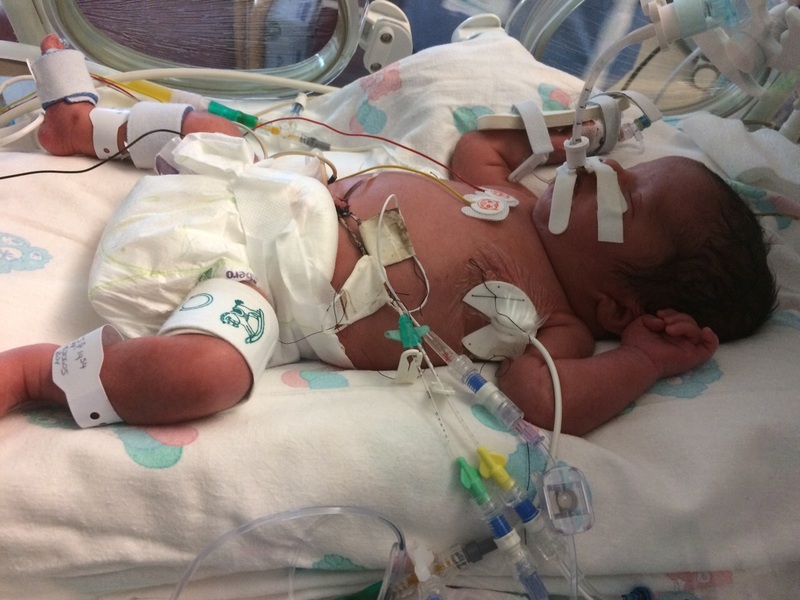 Cameron had tubes and wires covering every part of his tiny little body and his alarms were going off continually. 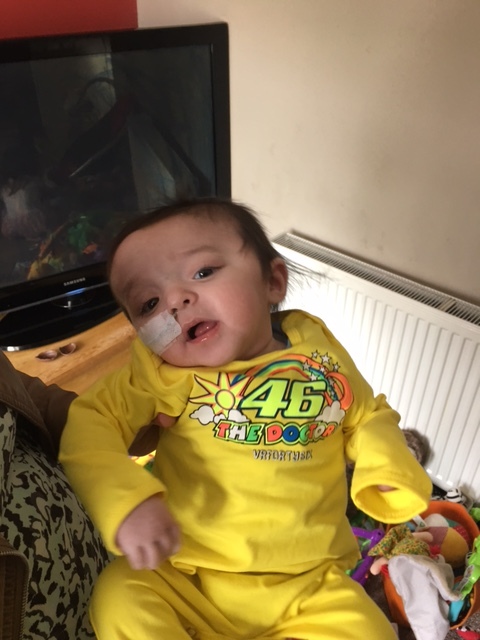 The doctors were blunt in that many babies like Cameron don’t make it; he had no figures on survival rates, only that the coming days and weeks would be critical in seeing Cameron respond to treatment and see if the fluid reduced. 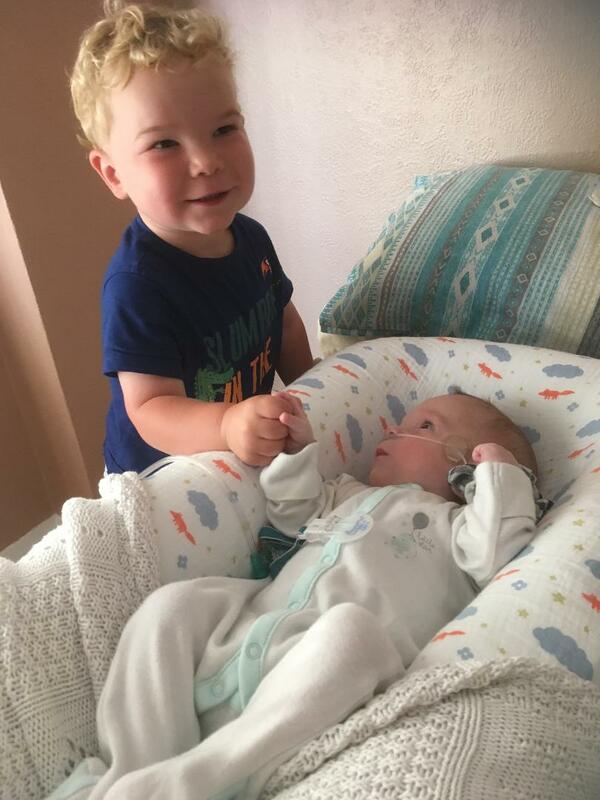 The next day we introduced him to his big sister, it was a hard decision to make, he was so very ill but Beth had been so excited throughout the pregnancy, she needed to meet her brother. I underestimated how difficult it would be, it hit home how sick he was when I took her in. She gave him a little cuddly hedgehog and asked some questions, she took it all in but I struggled to hold it together. She would however become a regular visitor, reading her brother stories, singing him songs and using up all the hand gel! She was a complete ray of sunshine, she said it like it was and easily saw past all the medical equipment. I googled hydrops one day for more information, it was very grim reading and I was too scared to google it again so I started googling medical equipment and downloading the manuals, I needed to get a grasp of how they worked. I would take pictures of his ventilator setting every day and became obsessed with his fluid balance and chest drains! Cameron had so many doctors looking after him, I was desperate for him to get the best care that I took to google again, this time googling his doctors to find out their specialities and expertise! Something that sticks in my mind is one particular doctor who we respected very much, (she saved his life one week!) telling us that Cameron had a fighting spirit in him, that he was most definitely here because he wanted to be. She was so right, Cameron went on to prove this in subsequent admissions to hospital. I can honestly say that I learned the true meaning of heartache in NICU. It is a pressure cooker of emotions, complete exhaustion and a constant battle to hold it together when you’re on the verge of completely losing it. But it’s not just about your own baby; you feel the pain of the other parents too. There was a baby next to Cameron that had become really unwell. I didn’t know his parents well but we had shared some chats while sitting by the incubators together. I gave his dad a hug that night and he told me that all they could do now was pray. I’m not religious but I told him that I’d say a prayer for him too. 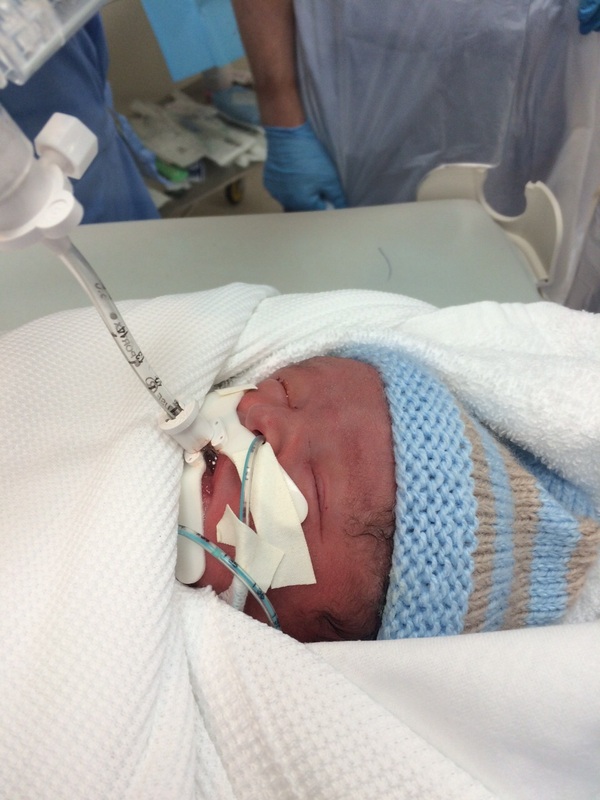 My heart sank the next morning when we saw an empty space where his incubator had been. I think I cried that whole day and night; it brought it home how fragile life is. I still think about that little boy and his family frequently. I am thankful however for the other parents in the family room, they became such a support, family and friends struggled to understand what we were going through, these people got it without words even being spoken, they were on the rollercoaster too. There was always a chat and a laugh to be had no matter how rough a day you were having, it cheered my days up no end. 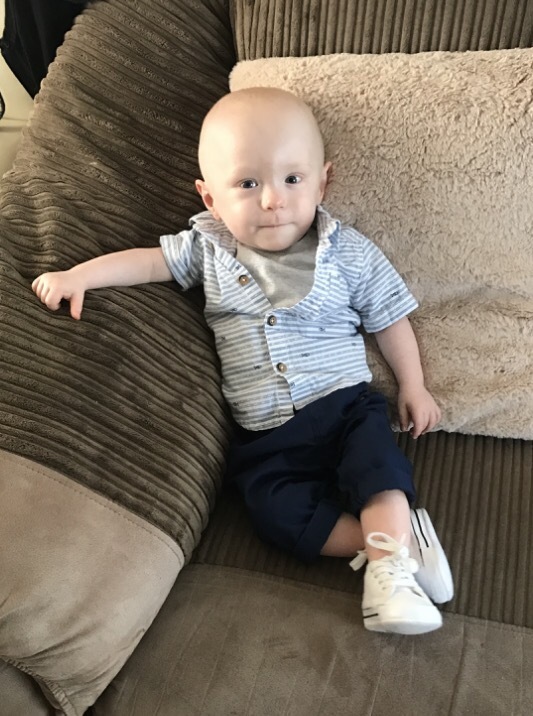 We still keep in touch with many of the other parents and it’s great to see how our babies are getting on, especially as they all approach their first birthdays. I can’t describe the feeling of finally moving upstairs to SCBU. 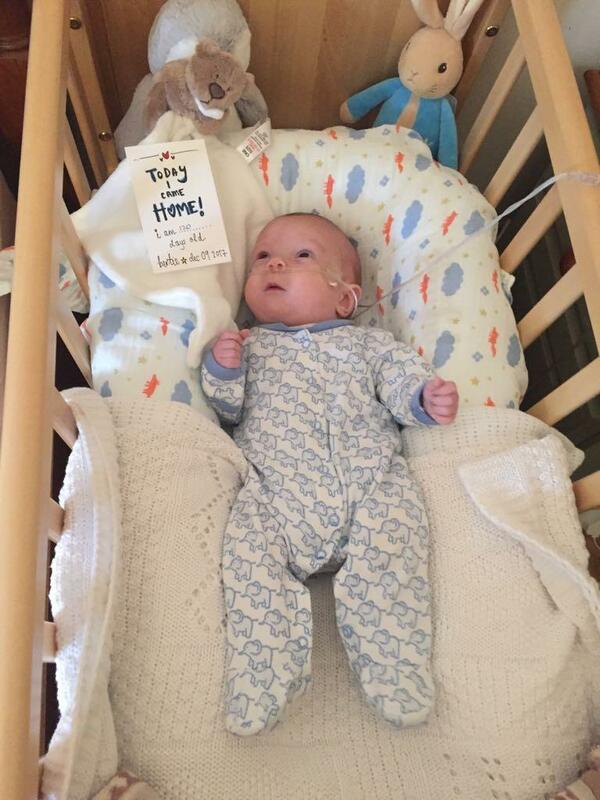 We knew that the next step would be home and we finally felt like parents to Cameron, able to hold him without having to ask, change him and dress him whenever we wanted to and most importantly just able to enjoy him. He was going to be okay, we were soon going to be able to take our boy home!! 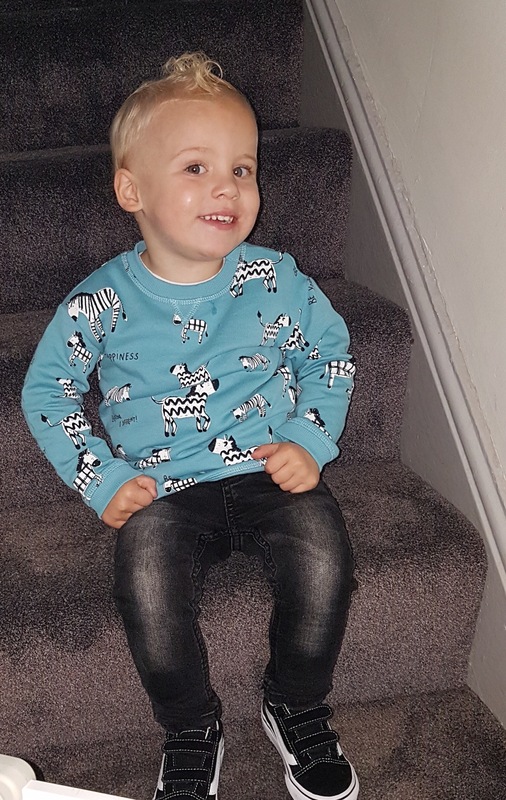 Cameron has various health problems and requires future surgeries but he is the happiest wee guy around. He has taught us what life is all about and our family is definitely a much happier, kinder and thankful one for having Cameron in our world. 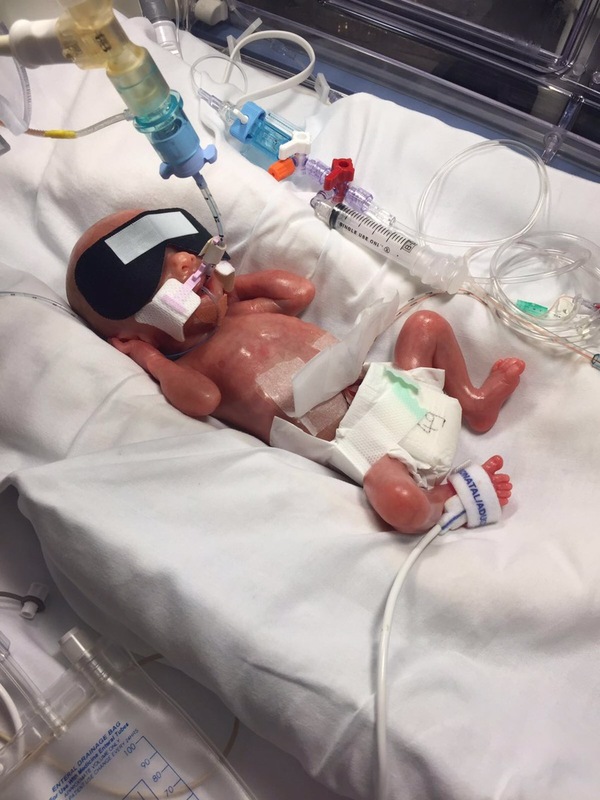 With special thanks to NICU dad – Jason Smith, for sharing his journey through neonatal intensive care with The Smallest Things. 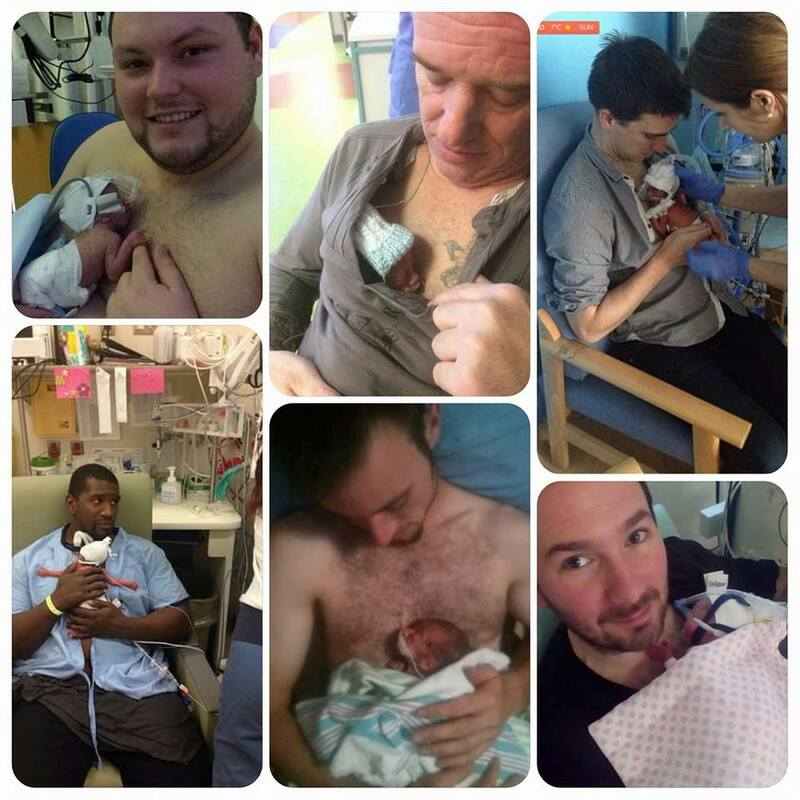 This entry was posted in Dads do NICU, Guest Blog, NICU, Premature Baby, SCBU and tagged Dads do NICU, hydrops fetalis, Neonatal Intensive Care, Neonates, Preemie, Premature Baby, SCBU, Special Care Baby Unit on June 14, 2016 by Catriona Ogilvy.